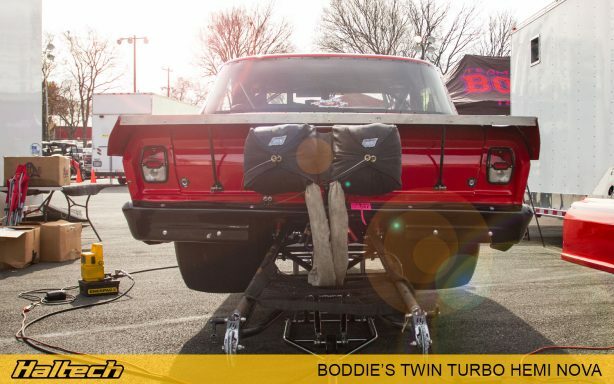 The Boddie family racing roots go way back to the 1960s with Kenny taking up the sport early on, racing in the very first car he owned, a 1956 Buick Roadmaster! It came as no surprise then when Kenny’s biggest fan – his son Jermaine decided to continue the family tradition and started racing as soon as he was old enough to drive. 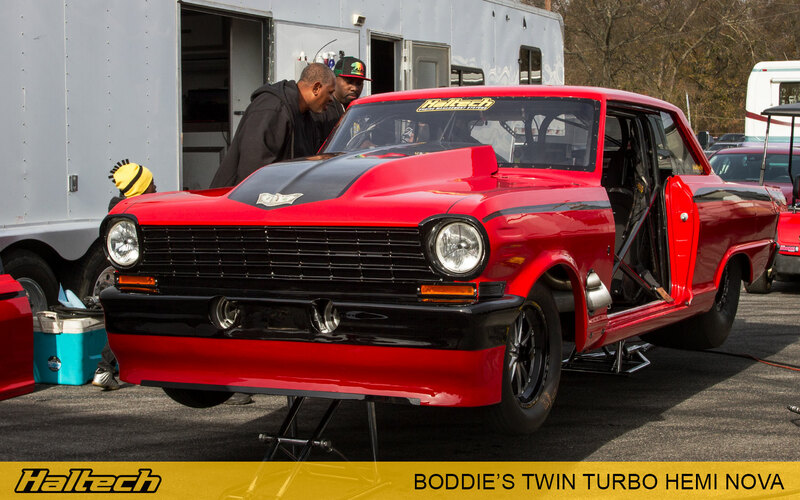 By 2014 Jermaine was hosting his own annual grudge race, ‘No Excuses,’ and getting interest from the hit television show Street Outlaws. Soon he was representing California on the show, racing against Daddy Dave. Boddie’s Discovery Channel debut was followed by a race against Birdman of Texas on the street racing television show House Of Grudge. 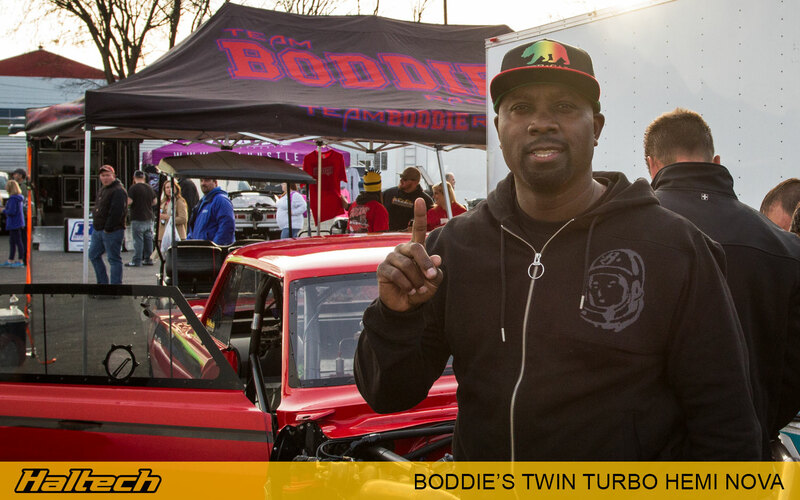 In 2017, Jermaine made a return appearance on the 2017 Season Finale of Street Outlaws as part of Team Cali. 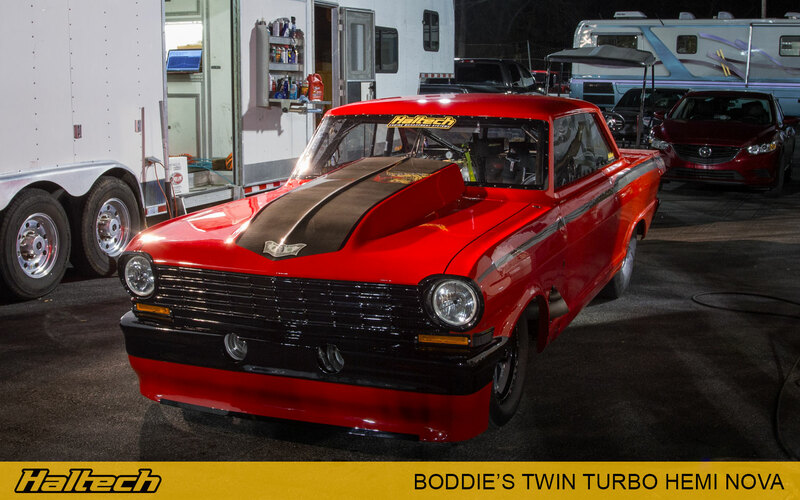 Boddie’s current ride is a beautifully presented 1963 Chevy Nova 2-door. While the car’s finish and attention to detail is certainly impressive, it’s what’s hiding underneath the immaculate bodywork that really caught our attention. The heart of the beast is a twin turbo, 526ci Hemi V8. The engine was built by Miner Bros, a California based company famous for building monstrous power plants for Pro Mods and tractor pulling. 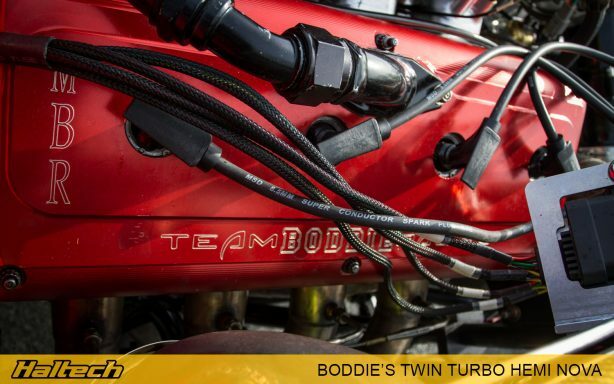 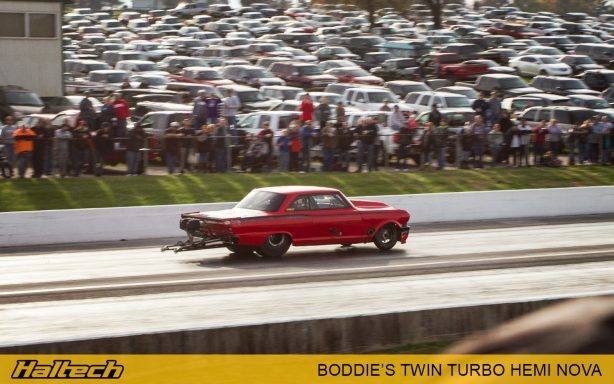 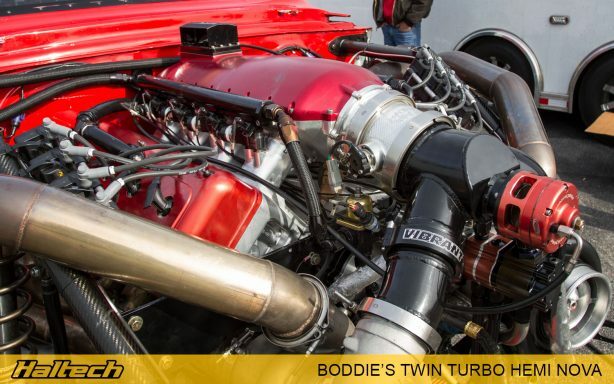 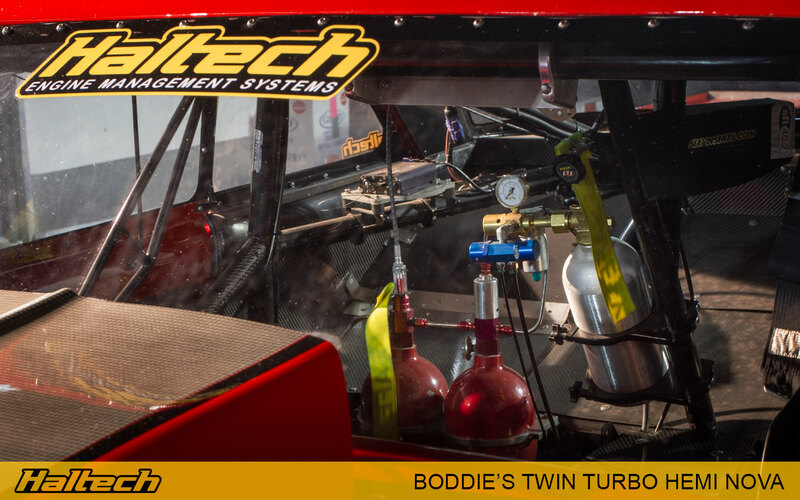 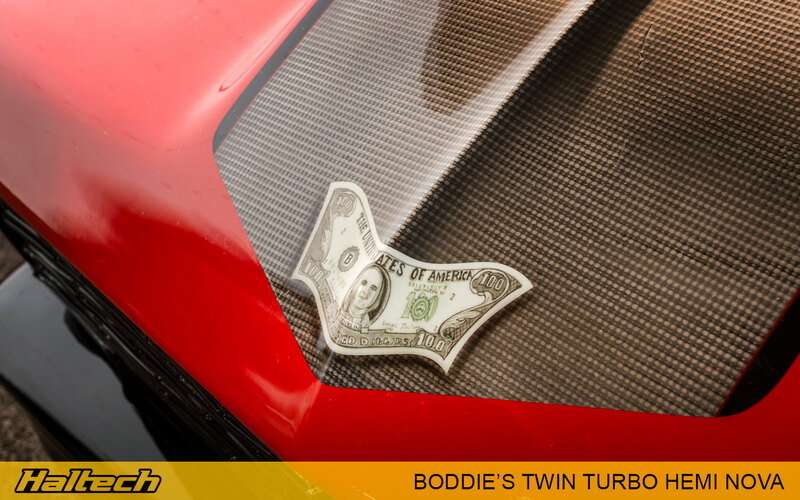 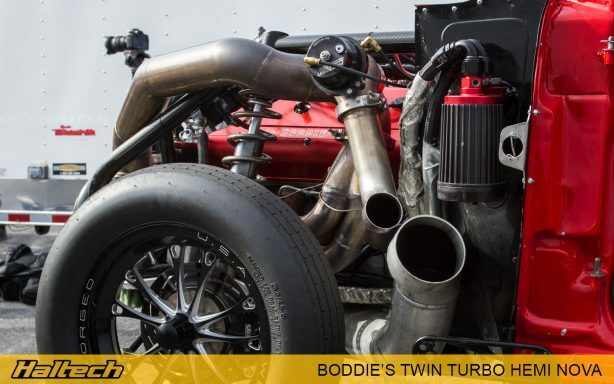 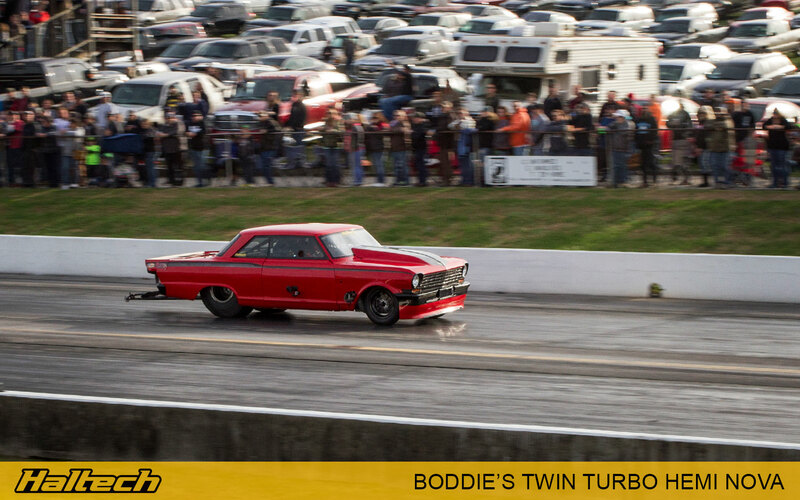 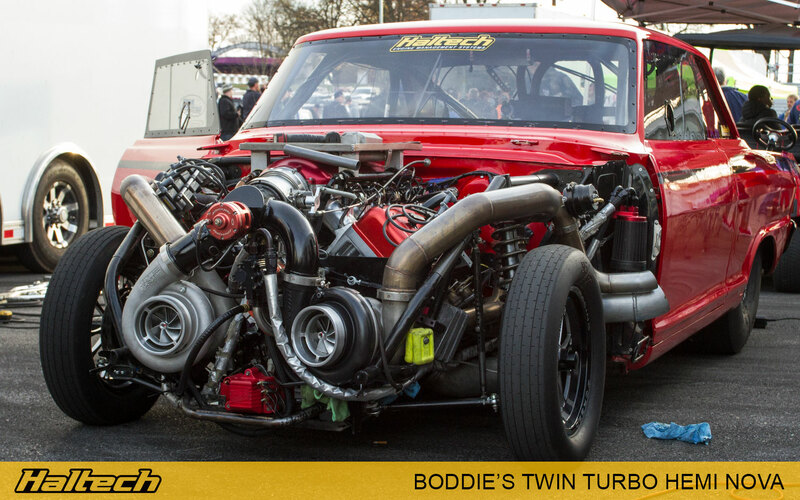 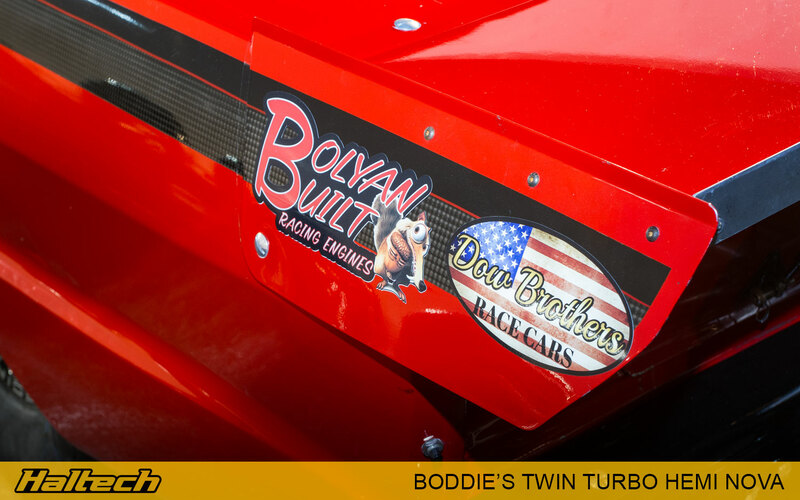 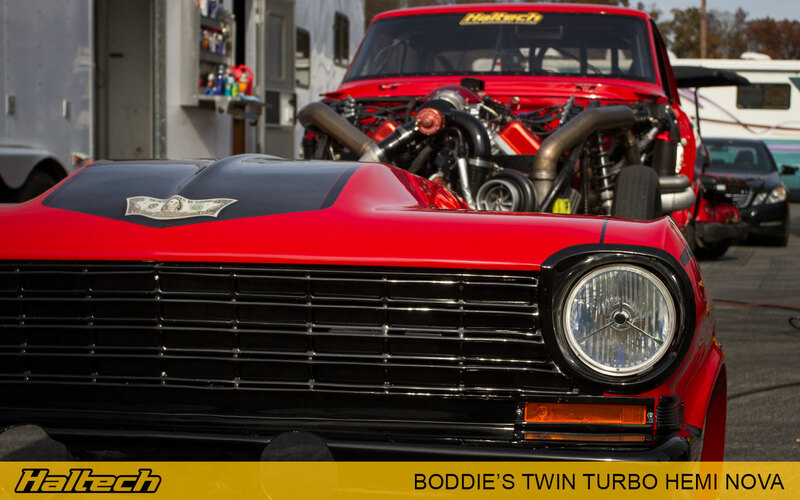 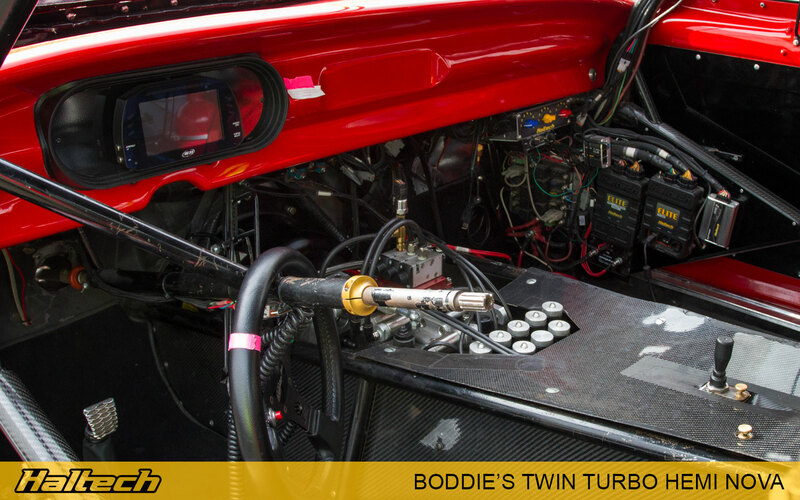 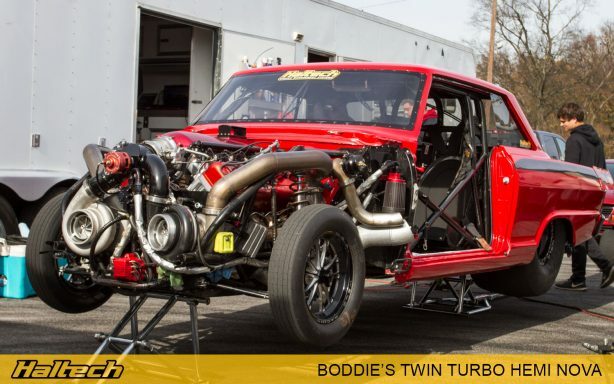 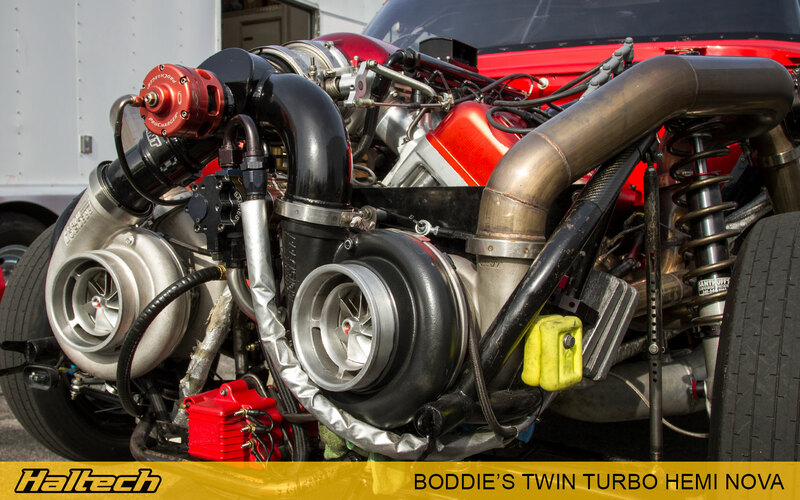 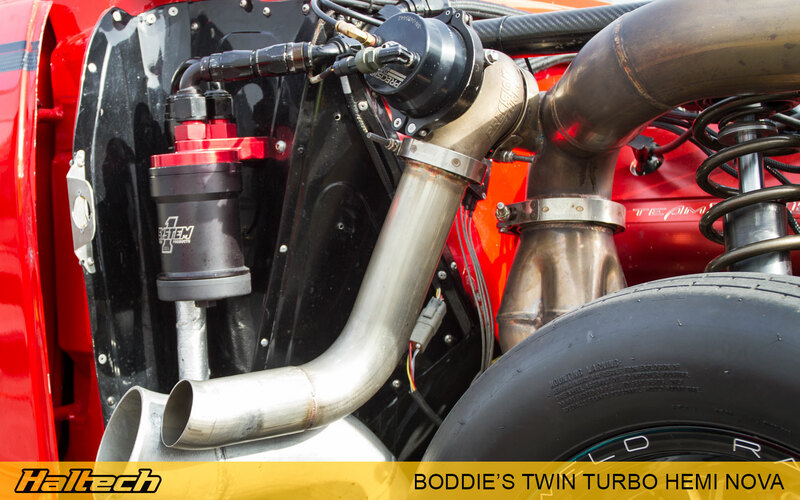 Boddie’s engine keeps the tradition by pumping out a massive 4500hp. All that power is transported to the wheels via a Liberty auto transmission. Haltech’s Elite 2500 looks after the engine management duties controlling ignition, injection, and a whole lot of race functions. The addition of a REM unit allows Boddie to run 2 injectors per cylinder. 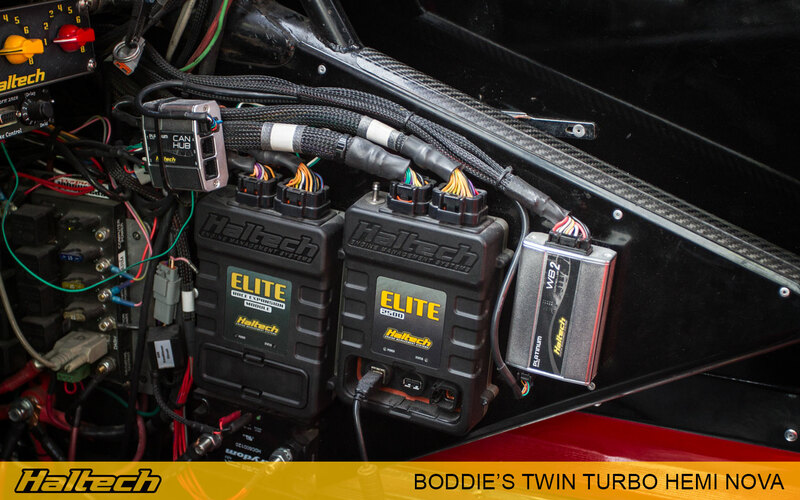 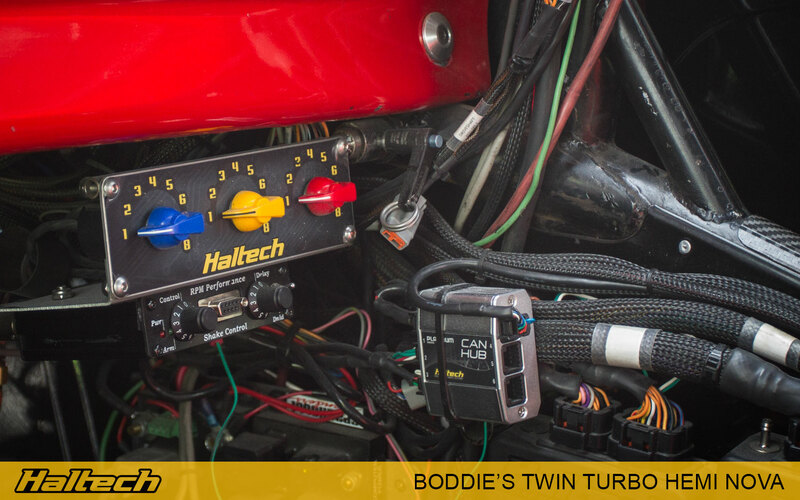 A triple rotary trim switch unit provides Boddie’s tuner – Patrick Barnhill, full control over the Elite’s race functions from within the cabin. 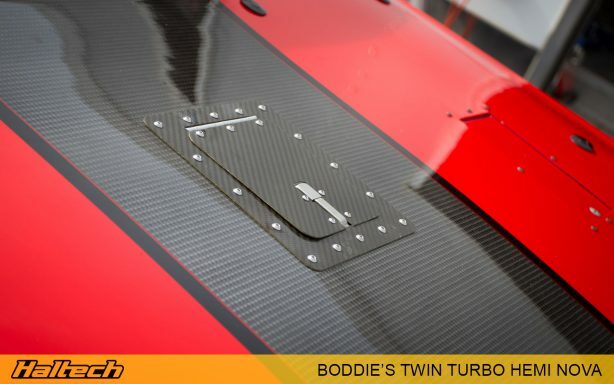 Inside and out, the car’s finish is nothing short of spectacular and its performance is equally impressive. 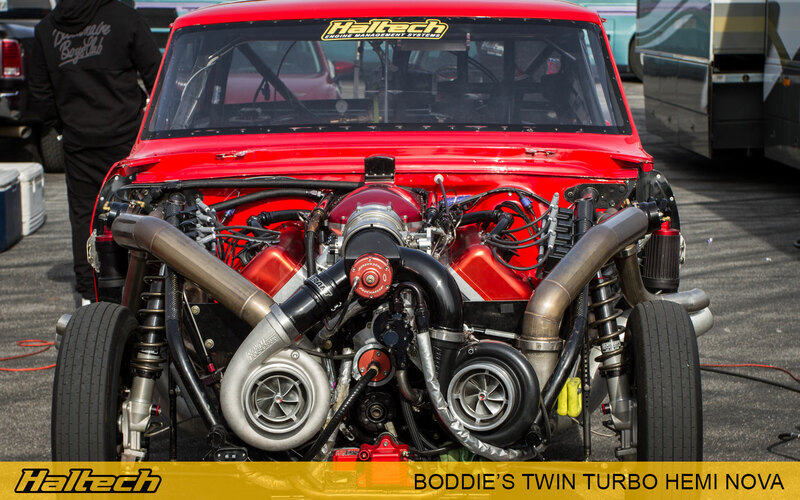 A beauty and a beast rolled into one tidy, red package!